The historic town of Lahaina was once the capital of the Kingdom of Hawaii and the center of the global whaling industry. The largest community in West Maui, with around 12,000 permanent residents, Lahaina is now known as a tropical getaway with a little something for everyone. 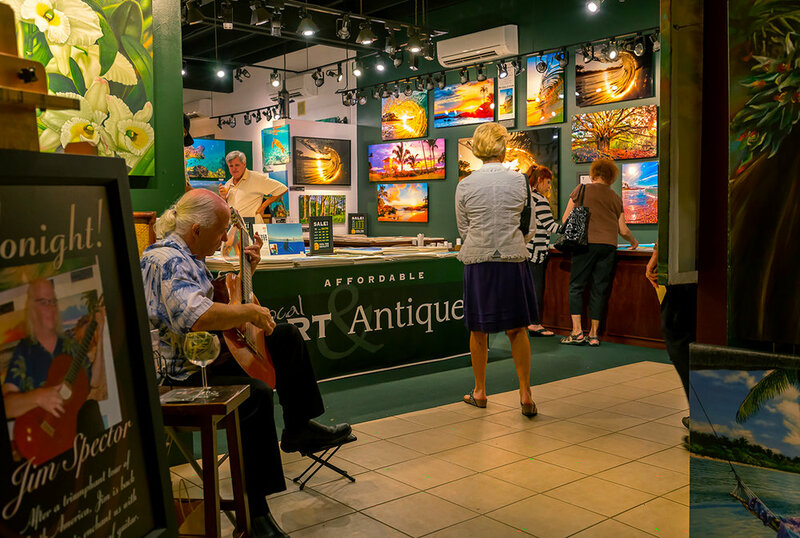 Ranked one of the "Top Ten Greatest Streets" by the American Planning Association, Front Street is home to fine art galleries, restaurants, and shopping, and you'll find local craft fairs and other events under the huge Banyan Tree (Maui's oldest living tree) in the town square. For sports fans, the Maui Invitational college basketball tournament takes place around Thanksgiving each year. The departure point for many ocean activity companies, including snorkel excursions, sunset cruises, and whale watching tours, Lahaina harbor is also the finishing point for the Victoria to Maui International Yacht Race, held ever other year.